We were excited to receive several new buffets and media pieces this week. One of our favorites is the “Orleans Buffet”. It is quite large at 70” wide, 37” tall, 24” deep. Interestingly, in addition to being used as a buffet or media piece, it has the perfect dimensions to be converted for use as a vanity in a bathroom. 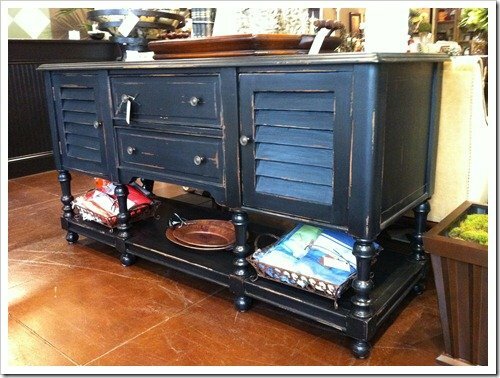 The piece is solid mahogany wood, painted in a rubbed, black finish. There are 2 shutter style doors (the sinks could go above the doors) & 2 drawers. 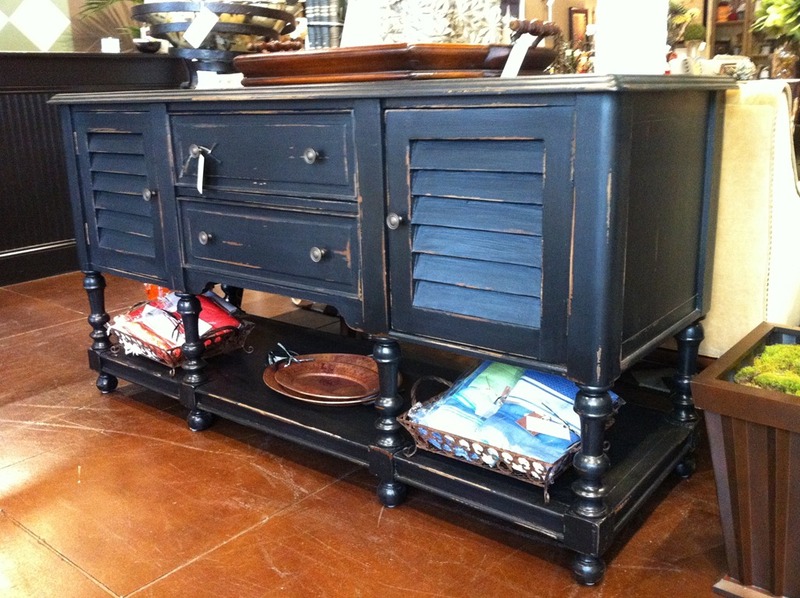 At only $1,590 for a 70” long, solid wood piece of furniture, this is a great buy! The piece is also available by special order in stained wood and other painted finish options, such as white, blue, red, green and many more. Let us know if you need any additional information: info@heatherscotthome.com.